While the life insurance industry has often been criticised for delivering low returns to policy holders, they are still extremely safe investment options. This is because of the strict regulations and multiple safeguards that have been built into the regulations, more so with the advent of private insurers. It is mandatory for each private insurer to deposit an amount of ₹100 crore as paid-up capital with the Reserve Bank of India prior to the grant of a licence by IRDA (in collaboration with a foreign partner). The maximum extent of equity in the paid-up capital cannot exceed 26 per cent and no amount can be invested outside India. Secondly, every life insurance company needs to keep a solvency ratio of at least 150 per cent. That is, it needs to maintain the value of its assets above 50 per cent of its liabilities to ensure that the company has the ability to pay out claims in case of unforeseen events. 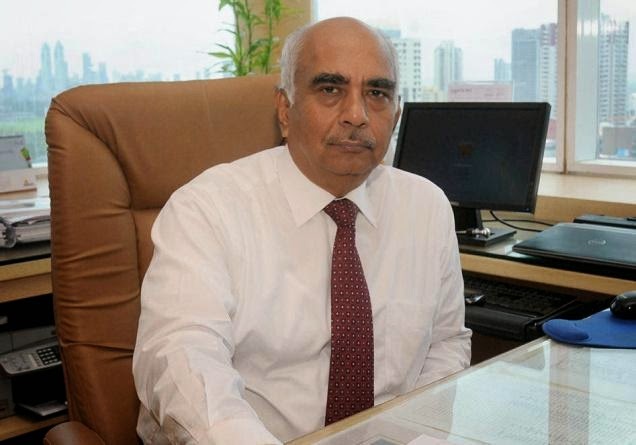 Thirdly, every insurer, in respect of all the insurance business transacted in India, has to submit a balance sheet and revenue account at the end of each financial year, clearly indicating its financial health and a valuation of its liabilities. All these documents are subject to audit by a certified auditor. An Actuarial Valuation Report is also required to be submitted to IRDA. In addition to this, each company goes through multiple audits during the year. Besides stiff regulatory requirements on running an insurance company, rules on investment of the premiums received also ensure high safety. Consider this. In case of traditional plans, 85 per cent of the premium collected by any insurer in a financial year has to be invested in Central government, State government and other approved infrastructure bonds and securities. The remaining 15 per cent can be invested by the company at its own discretion. With such a high percentage of money invested in government securities, these plans deliver low returns. Banks are comparatively more flexible in the way they use or invest your money, even giving it as commercial or personal loans. Thus, in the shorter run, they may offer comparatively better returns. It is important not to confuse traditional plans with Unit-Linked Insurance Plans (ULIPs). ULIPs are more flexible, as where your money is invested here depends on the option you choose. So if you choose a debt fund, the majority of your money will get invested in corporate debt, but if you choose equity, a greater portion of your money will go into the stock market. Here the returns could be much higher, but it involves a higher risk factor too. While investments in safe instruments mean lower returns, there are several checks and balances to ensure that the investor is not cheated. For example, non-participating traditional plans generally offer a guaranteed tax-free return of 4 to 6 per cent. In case of participating policies, the returns are not guaranteed, but a minimum of 90 per cent of the profits (surplus) generated every year have to be compulsorily distributed amongst the policyholders in the form of a bonus. Simply put, this means that in case a company earns 8 per cent returns in a year, at least 7.2 per cent of the yield has to be given to policy holders. Also, there is a check on management expenses. The maximum expenses of an insurance firm cannot exceed 15 per cent of the total earnings in a year. This ensures that it does not overspend your money. An insurance company which has started its operations in the country is not allowed to shut down completely. In case it is unable to sustain its business in India, it can hand its assets over to some other company. 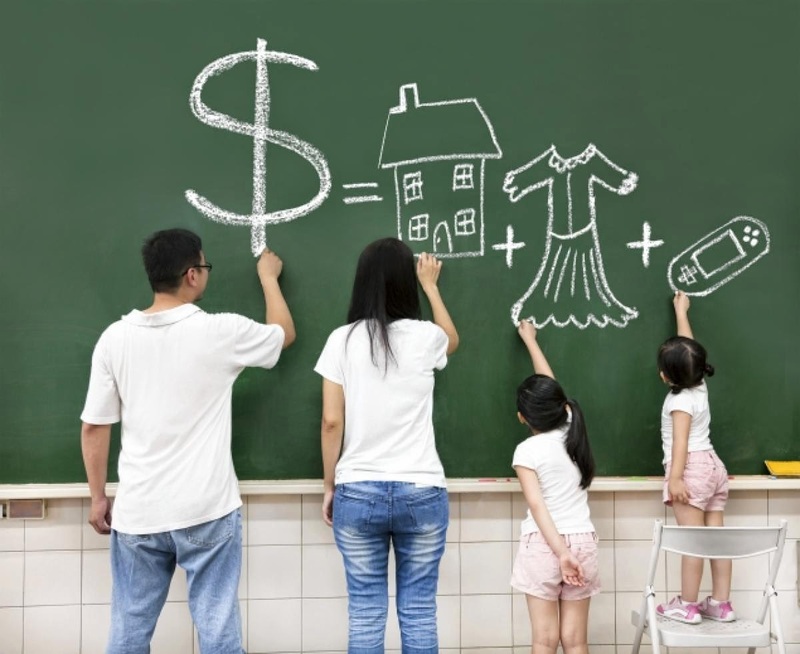 There is no scope for a policyholder to be left as an orphan. Also, since insurance is a legal contract, the policy money has to be paid on the occurrence of mentioned events in the contract. Moreover, in case of any dispute, a policyholder can approach an Insurance Ombudsman and thereafter, a court of law, if the award passed by the Insurance Ombudsman is not satisfactory. Although all these rules envisage maximum protection to the insured, it is still better for you to choose companies which are known to be run better. Don’t always go for the one offering the lowest insurance rates, as that can be a high-risk strategy. In this light, LIC is the only institution which carries a central government guarantee for the money due. 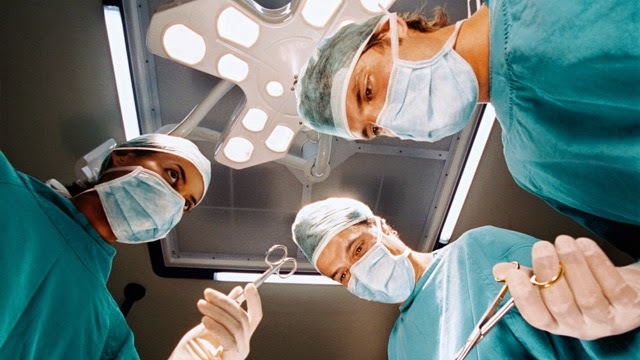 Private sector general insurer, Bajaj Allianz General Insurance has launched a new health policy called 'Surgical Protection Plan', which provides insurance cover only for surgical treatments. As per the company's statement, the new plan assures a guaranteed benefit amount depending on surgical treatment that is graded based on the costs and covers around 600 surgeries. "Since cost related to surgeries form a major part of medical expenses, a common man's biggest requirement is to cover these expenses. Our new product covers surgeries at a very reasonable cost and we hope to get a sound response for this product," Bajaj Allianz General Insurance managing director and chief executive officer Tapan Singhel said. He also said that the general insurer aims to grow the contribution from this plan to around 20 per cent of the total health premium in the coming years. As per the company's statement, the new policy offers 11 plans with sums insured, ranging from Rs 1 lakh to Rs 10 lakh, which can also be opted for, in addition to the hospitalization policy or any other health policy. It is believed that 40% of all life insurance is sold in the last quarter (January to March) of a fiscal year. Clearly, tax planning continues to be an important (if not the most important) reason to buy life insurance. In IRDA’s latest release, life insurance penetration (or ratio of premiums as a % of GDP) for India fell from 3.4% in 2011 to 3.17 in 2012. I suspect if you compared ratios of ‘protection’ where you compare levels of sum assured (or actual amount of insurance) to GDP the trends might be similar. “This indicates that in the past three years, the growth in insurance premium is lower than the growth in national GDP,” states the IRDA annual report. • More than 20% of users have a home loan where the total loan outstanding is more than the life insurance amount or sum assured – meaning, if these people unexpectedly passed away, their families will have to sell assets just to hold onto their homes, let alone the life insurance proceeds being used to live a comfortable life. 2) Of those that have life insurance, the amounts that are assured to the policy owner are often, grossly inadequate. Alternate way of saving tax: Buy a term plan with sum assured or life insurance amount of Rs. 1 crore for less than Rs. 20,000 and balance invested in savings instruments like PPF or other permitted instruments. With less than half the amount put aside for insurance, the employee could get over 25 times the life insurance amount he currently has. The sum assured or the amount of life insurance can vary from 10 times the annual premium to over 500 times the annual premium paid for the same premium amount depending on the type of product bought. We do believe that labelling products by the level of protection offered might be a good start in ensuring more meaningful life insurance penetration. 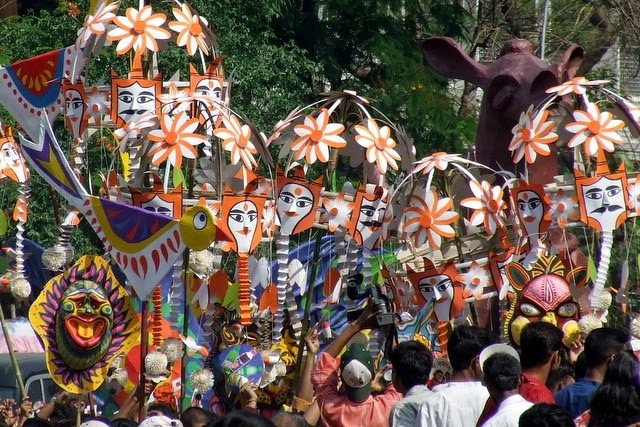 Pohela Boishakh is celebrated as the beginning of the year in Bengal and other parts East India. On the occasion of Pohela Boishakh, Sachin Joglekar, chief agency officer of Tata AIA Life Insurance Company Limited (Tata AIA Life), urged people to celebrate by renewing the promise of protecting their families with life protection solutions from Tata AIA Life. “Pohela Boishakh holds a special significance for the people of Bengal and other parts of East India as it marks the beginning of the year. One can make this auspicious occasion memorable by ensuring a financially secure life for his dear ones with our simple and easy-to-buy income protection solutions,” said Mr Joglekar. According to a leading market research organisation, investing in life insurance products is the most popular investment option across town, class and zones. 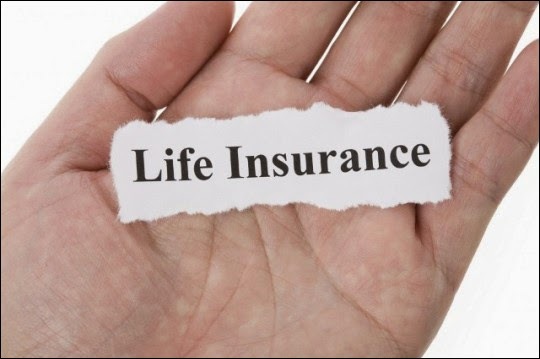 However, at the same time life insurance penetration has declined (from 4.4 percent in 2010-11 to 3.2 percent in 2012-13) in recent times, resulting in a huge mortality protection gap which refers to the difference between life insurance cover people have and what they should have. Tata AIA Life has recently launched a bouquet of solutions, compliant with the new IRDA guidelines applicable from January 1, 2014, which shall satisfy the varying needs of customers. All the solutions allow customers to avail higher protection cover than earlier. These new offerings also provide other benefits such as guaranteed returns, liquidity, compounding of returns, flexibility of premium paying term and flexibility of plan duration. Tata AIA Life is a joint venture between the Tata Group and pan-Asian life insurance group AIA. Tata AIA Life is one of the first life insurance companies in India to fully switch over to a standard proposal form for all products, consequently offering convenience in making completion of applications faster and easier for the customers. The company has launched an Express 50 initiative, which makes the process of buying life insurance hassle-free. This initiative enables customers to buy higher protection cover faster by optimising the requirements of documents through simpler underwriting norms. Bajaj Allianz Life Insurance today said it has settled more than 1 lakh claims during the last financial year and paid claims worth around Rs 651 crore. "We focused on digitising the claim settlement process and started image-based documentation at various branch offices. This helped claimants get faster response," Bajaj Allianz Life Insurance Head (Claims) P Ravi Kutumbarao said in a release here. The private insurer settled more than 1 lakh claims, both individual and group, paying out Rs 651 crore, during the just concluded fiscal, it said. The claim settlement ratio was 97.45 per cent in FY14. About 77 per cent claim proceeds were settled through electronic mode directly into the claimants' bank account. Claims arising out of natural calamities like the last year's floods in Uttarakhand and Himachal Pradesh were settled with minimum documents and in just two days of receiving the required documents, the release said. The company received a total of 35 claims (including accidental benefit cases) related to floods in Uttarakhand and Himachal Pradesh and paid more than Rs 73 lakh. The Pune-based company is a joint venture between Bajaj Finserv and German insurer Allianz SE. Paving the way for a new distribution system, Insurance Regulatory and Development Authority on Wednesday brought out draft guidelines for setting up insurance marketing firms (IMFs). Under these norms, IMFs can market and service insurance, apart from marketing other financial products. These include products of mutual fund companies; pension products of PFRDA; and other financial products marketed by Investment advisors of Securities and Exchange Board of India through the financial service executives (FSE) engaged by an IMF. Irda asked all stakeholders to provide their views on the draft by April 15. Irda said it had been mulling over allowing distribution companies to have multiple tie-ups with insurers - a model akin to independent financial advisor, based on the recommendations of the Govardhan Committee on distribution. In this connection, meetings were held with representatives of life and non-life insurance companies and with a cross-section of marketing personnel in life and general insurance industry at Hyderabad. A working group was constituted having five CEOs each from life and non-life insurance companies to study the concept and recommend a suitable model.